Do you own a Micro, Small & Medium Enterprises (MSME)? Your Diwali bonanza has arrived already –courtesy the 12-point agenda called the ‘Support and Outreach Initiative’ for MSMEs, announced by the Honorable Prime Minister of India just a couple of days ago. A vital part of this initiative is the ’59-minutes loan’ facility of up to Rs 1 crore for MSMEs. This is meant to provide a big boost to the growth potential of the MSMEs as they look for additional sources of business funding this festive season. The loan amount will be between Rs 10 lac to 1 Crore. The interest start starts 8% onwards. What difference it can make for the MSMEs? The MSME business sector forms a niche segment with a network of more than 63 million units, about 111 million employees and with a 30 % share of the national GDP. Yet, the smaller enterprises have remained somewhat underserved in spite of contributing a lot towards strengthening the Indian economy. Credit appraisal has been a major challenge here and the MSME owners were largely unable to access adequate and timely finance. This ‘Diwali Gift’ from the Honorable PM comes as a big relief to the MSMEs and is meant to guarantee a hassle-free access to different credit facilities. The ’59-minutes loan’ is only an in-principle approval. A special portal will facilitate this benefit. For existing businesses, the borrower should be income tax and GST compliant and must be having the internet banking facility. Any borrower , with a proposal matching the business loan products of the lenders, will be required to deposit a fee of Rs 1000 (plus applicable taxes) on the portal. 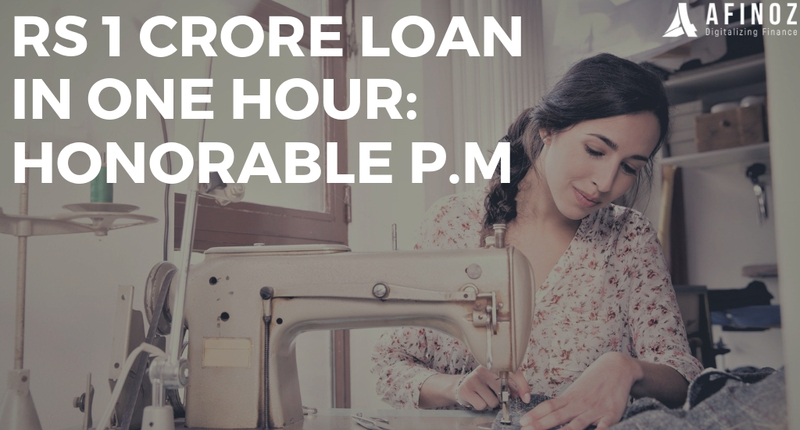 A 2 % rebate on interest rates on an incremental loan up to Rs 1 crore has also been proposed for GST-compliant MSMEs. The applicant needs to submit a) 6 months’ bank statement is pdf format b) eKYC c) last 3 years ITR in XML format d) GST ID username and password and e) ownership details in the form of papers of their business entity. These initiatives will definitely herald a new era for the trouble-ridden MSME sector and it’s up to the MSMEs to take advantage and broaden their horizon by availing business loan products from lenders. Grow your MSME business with business loans from AFINOZ.COM, the best online financial marketplace in India. Now you can avail business loans through us in a quick, reliable, transparent & hassle-free manner. Afinoz will always be there to help you build your business. For more details, visit: https://www.afinoz.com/business-loan-india or fill out the given form. Our representative will get in touch with you.